I'm Top Ender and this blog is about things that I like, my life and what's fair and not... although I promise not to moan too much! Thanks for reading and remember, leave a comment and make me smile! © 2014 Top Ender's Guide to Life. Powered by Blogger. I don't do it at a club (yet) but I still love it! My mum joined an Archery group when she was my age so I think I might have inherited it some of my love from her and of course I love the Hunger Games and Katniss is a brilliant archer! 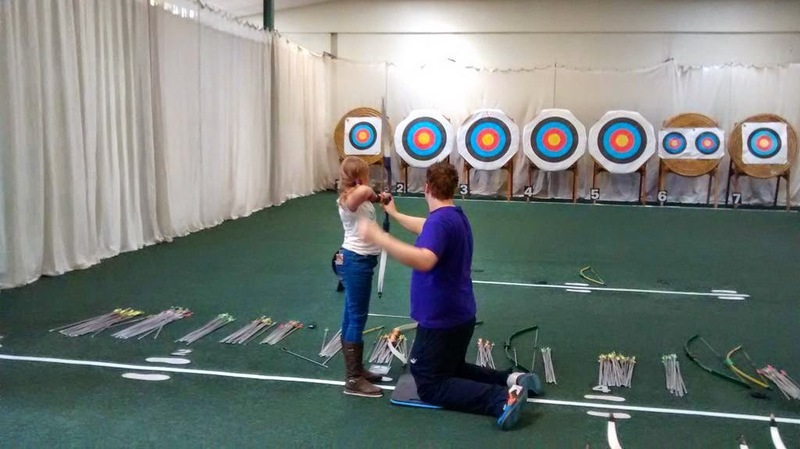 The man standing next to me teaches archery and when I went camping with my dad in 2014, I got to have a session with him. He had won several awards for Archery and had been a member of the British team and he said I had a really good technique and he didn't believe me when I said I'd never tried Archery before. Apparently I was quite good!